One of Nature’s most powerful healing foods is the mighty hemp seed. Considered the most nutritious seed in the world, they have been cultivated for a thousand years as a source of high quality fiber, edible seeds and edible oil. They contain more digestible protein then meat, whole eggs, cheese or cow’s milk, as well as being a non-inflammatory source of calcium. Hemp milk can often be consumed by anyone unable to tolerate nuts. Hemp seeds have been shown to provide relief in many chronic health conditions like arthritis, candida, high blood pressure, high cholesterol, diabetic circulation problems, acne, eczema, intestinal problems, cancer and constipation. To consume high quality hemp seed milk, avoid boxed and bottled products at the health food markets. They contain the carcinogenic chemicals tricalcium phosphate and disodium phosphate, as well as synthetic vitamins and rice syrup. To extend shelf life these seed milks are pasteurized. The high heating process depletes 50% of the protein, 80% of the calcium-rich properties and 80% of the vitamins. 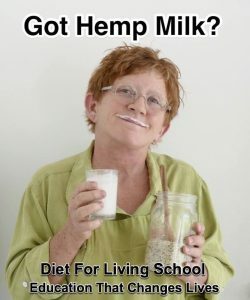 Hemp milk is so easy to make, it’s best to drink the real deal! Add to a high powered blender. Blend on high until smooth and creamy. SHABAM! you have fresh hemp seed milk!!!! Blend everything until it’s fully incorporated. Drink and enjoy the great gifts of life!!!!! There is still time to register right now to save your place for the Fall Certified Health Coach Program. You will have to hurry! 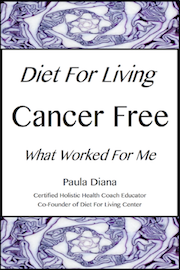 Space has already begun to fill for this popular much loved training! Is our Program a good choice for you? Call 505.243.1157 to find out more! We would love to talk with you and answer your questions. Please share us with family and friends that would love to have a career in health and healing.